Our bus drove abord the ferry alongside cars and trucks. Then a laden donkey cart appeared with half a dozen older ladies. 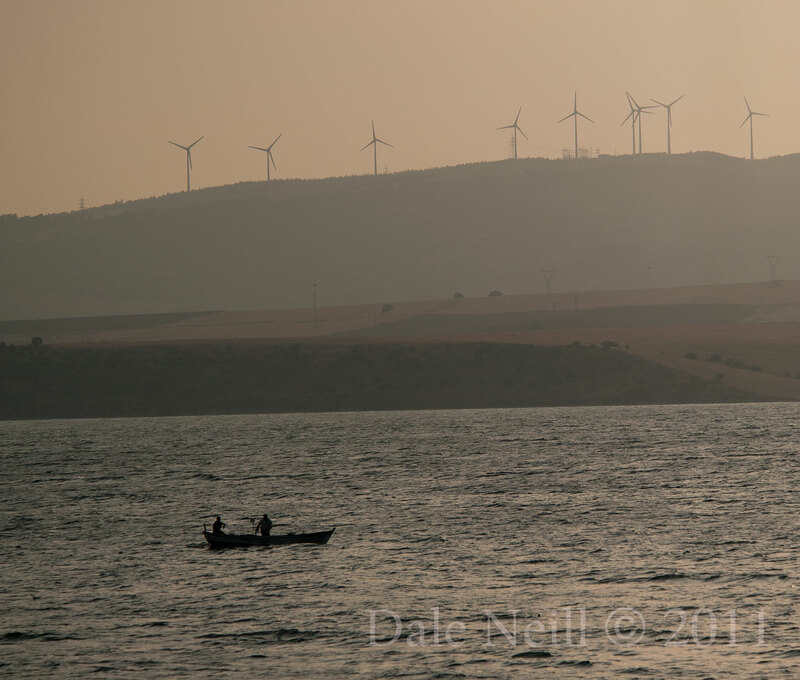 In Turkey the old and the new sit comfortably side by side. 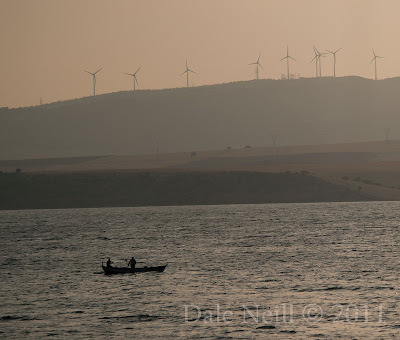 The fisherman with in their wooden boats and the stand of wind turbines on the horizon. While Turkey is progressive and forward thinking it prides itself on tradition.